The Cape: Overdrive sees The Capes coming together to protect the world from a destructive asteroid. What was the inspiration for the setup to this installment in your Dark Spore series? The Cape Overdrive was written on a whim of sorts. The Dark Spores Series is a compilation of 6 books (currently) from three different authors and is part of the Cosby Media Productions Dedicated Superhero Universe. 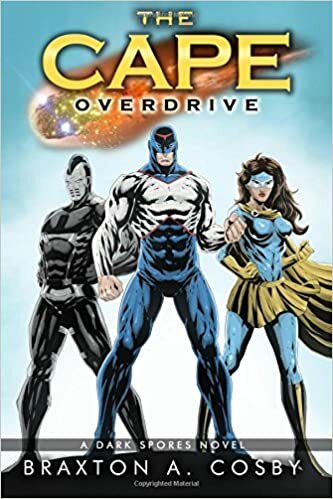 It was envisioned to be along the same lines as as say a Marvel or DC universe in which all the superheroes have separate tales which have some overlap in story lines and then all the heroes come together for a similar cause, obstacle or enemy. I had already completed The Cape (book 1) and was looking for a new story arc that moved the overall scope of the Dark Spores forward, while providing fans and readers with a new wrinkle to keep them interested. To that end, I was having a conversation with another author and thought, man, it would be cool to have The Capes fight encounter something other than a villain in this book. My wife had read an article about the value of a “Quintillion” which is the number one with 16 zeros after it. I thought, hmm, what if an asteroid was made up of precious stones and carried a value of a Quintillion dollars was hurtling towards Earth. What would happen if all the super power countries of the world wanted to obtain it? How would that play out in my Cape Universe? The outline began right there. There are so many fascinating characters in this book with their own unique powers. What was your favorite character to write for? I love The Blurr. She is actually my most powerful character and she is actually modeled after my wife. But more than that, The Cape represents superheroes that were once regular people; complete with flaws and all. They just happened to gain powers in book 1 after being caught in a storm. The city of Chicago then became an experimental pitri dish for producing special people separating Normals from Super-Normals. Blurr’s character arc from a call girl to the evil Super-Normal Cheetah-Girl in book 1, who lacks confidence and self esteem, and then eventually converts to The Blurr at the end, joining Paladin and his team, was both challenging and rewarding to write. I think she reflects the best attributes of the human spirit and is and can inspire all of us to fight through those low moments of our lives and ultimately walk in a bright future. If you read closely you’ll also see a larger character arc looming in the future that will play a major part in the CMPDSU going forward when all the Phase 1 heroes get together in INFINITY 7 (the collaborative effort of all three authors: Chayil Champion, Keshawn Dodds and myself). Phase 2 has other authors and heroes coming as well that can be read about on our website. Thief and Blurr are a dynamic duo. What were some obstacles you felt were important in developing their characters? Their past relationship for one. Sebastian (Paladin) knew Karla (Blurr) a long time ago and always had a crush on her but was too afraid to express it; fearful that it would kill their friendship if it didn’t work out. When Paladin seeks to solve the mystery of the murder in book 1, he discovers who Cheetah-Girl really is and desires to convert her over to the good side, without letting her know his true identity. The other obstacle is Karla’s past catching up with her. She has a dark history that has held her down for years and kept her in a place where she feels undeserving of a good man like Sebastian and now she must face and overcome those demons in order to walk in the light and receive what he has to offer – love without judgment. This allows their relationship to blossom and they become a modern day Cyclops and Jean Grey. Paladin sort of becomes her redeemer and that character trait creates this “Perfect Guy” persona for her which I think makes him very likable as a character. Amongst the triad of Paladin, Blurr and Thief, he is definitely the shining star and symbol of honestly and is the glue that keeps the squad grounded. Lastly, the larger looming obstacles with be the baddies: Dark Phase in book 1 and the new villains, along with the entire world vying for a piece of the asteroid. The challenge, I think, with superhero novels is making the danger feel real, which I think you accomplished. How did you balance the danger and their powers to make things feel legitimately life threatening? The answer was simple: man versus the unknown. In that sense, I used war as the catalyst. As I said earlier, all the powerful nations of the world would be converging on the crash site to secure the asteroid and only The Capes would be able to stop them. Imagine if you gave a quintillion dollars to say Russia, Germany or North Korea. What would they do with such resources? It would definitely tip the scales of power to some degree and it’s unimaginable what the impact would be. Would we be looking at World War 3 or the end of the world itself? Then there’s the basic theme of good versus evil. Not to give the story away any further, but I added some powerful, new Super-Normal villains in the sequel that really challenge The Capes; along with a nice twist to keep it fresh. Seat of your pants action never hurts a story and I think I have a lot of that mixed in. Super Heroes Wage War Once Again When the world is thrown into a panic from the imminent threat of a gigantic asteroid worth a Quintilian dollars, The Capes are asked to protect the planet from certain doom. But it’s not just the destructive force of the impact that everyone fears; it’s greed. Multiple nations gather to collect on the bounty for the precious meteorite while evil Super-Normals threaten to salvage the precious stone for their own deeds. Even the position of military power hangs in the balance as the most poorest of countries will catapult to the top of the totem pole with just an ounce of the spoil. Once again Paladin, Thief and Blurr must stand together and utilize every bit of their super powers – shifting into Overdrive – as the fate of the entire galaxy will ultimately hinge on the emergence of a new enemy from deep space. 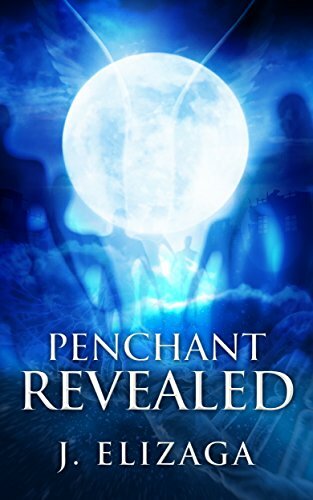 Penchant Revealed follows Miles as he discovers his superhuman anomaly after he protects his wife from a paranormal attack. What was the inspiration for the setup to this thrilling novel? I originally outlined a simple possession/horror story but it did not feel exciting or unique. Plus, I did not want yet another story showcasing an evil subject getting away with things. By chance, I watched a rerun of Ancient Aliens which speculated that alien DNA had been incorporated into human DNA. Suddenly, the idea that if nature finds a way, and alien DNA had been suppressed in human DNA, that it would manifest eventually– that is why there are seers who can see beyond the physical realm, or ghost whisperers who could speak with spirits–came to me, my Eureka moment I suppose. 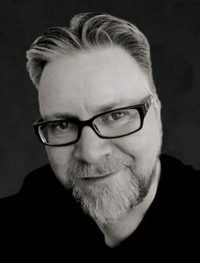 Miles Penchant is an intriguing character that, I felt, continued to develop as the story progressed. What were some obstacles that you felt were important to the development of his character? I wanted to introduce a superhero/superhuman who does not rely on any machines or lab-introduced enhancements, who was not aware of his power, and who has a biological weakness. You see his character change as the story unfolds. This book is filled with some fantastic paranormal and ancient alien sci-fi. What balance did you want to strike between realism and the supernatural? On the setting, I picked a tropical and sunny location on the planet (near the equator) to show that evil exists everywhere, not just in dark and dreary locations. The characters have regular jobs and the usual differences. On the character of Lucifer, he was initially the standard evil being who possesses people on Earth. But religious texts mention that Lucifer was defeated in a battle and imprisoned for a million years. So how can he possess people on Earth if he’s imprisoned somewhere? In developing his character, I had to answer questions on where he came from and what turned him into the ultimate evil against humans. I am in the midst of finishing a new short story inspired by the story of Joseph Merrick, known as the Elephant Man, hopefully ready by winter. After that, I return to Miles Penchant and the continuation of his story. Now with the knowledge that he has superhuman abilities, what does he do with that power? Miles Penchant keeps a secret from his wife. But even he isn’t sure what his secret is, until he defends his wife from a paranormal attacker and a band of otherworldly beings discover who he really is. This short story reveals the beginning of Miles Penchant’s fate, entwined with ancient aliens and archangels. The Bug Boys vs. 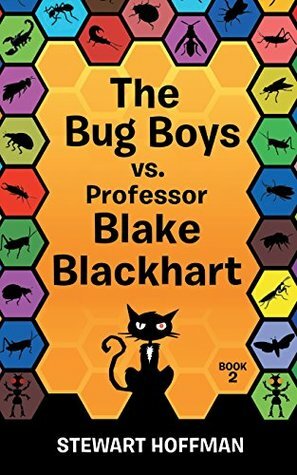 Professor Blake Blackhart follows Alex and Ian who still have nanobots inside them and retain the ability to take on the different aspects of bugs they swallow. What direction did you want to take this book that was different from the first story? Well the first book was the origin story. How the kids got their powers, and a lot of get-to-know-you stuff, where they live, etc. In the second book, I didn’t have to go over all that again, at least not as much, so I focused on upping the ante with bigger bugs, robots, action, and a proper super villain character. I also wanted to explore what being a hero was all about. The writing in your novel is very artful and creative. Was it a conscious effort to create a story in this fashion or is this style of writing reflective of your writing style in general? This is my writing style. I like to keep things moving along at a brisk pace, and I always jump on an opportunity to see the funny side. I felt this story was very well written. What’s your experience as a writer? Thank you! As a kid I was always a story teller. More recently I set up my own movie review blog, and after a couple of years doing that I decided I was ready to construct a full novel. Since I’ve watched and analysed so many films (and books, I read a lot too) I think I’ve got a good handle on what’s needed in a story. It also doesn’t hurt to review one’s work with critique groups either! Will there be a book three in The Bug Boys series? If so, where will it take readers? There will, eventually! Tentatively titled, The Bug Boys and The Bullet Ant Queen. This one will spend a lot more time exploring the alien’s planet (The Bug Boys are going to visit! 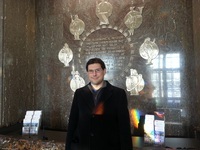 ), while I explore the subjects of change, and the environment. This one will likely take a bit longer to put together as I also have another novel I’m working on. Something for adult readers, a little afterlife dramedy! The fantastic superhero adventure that began with The Bug Boys continues! Alex Adams and Ian Harris take on Blake Blackhart, a disgraced Oxford professor. He discovers the boys’ source of power and plots to use the Secti’s alien technology to wreak havoc across the galaxy. With a proper real-life supervillain in the village, the boys must step up their superhero game if they are to put a stop to the professor’s nefarious schemes. Along the way, they make new friends, and they encounter new bugs and superpowers. With the fate of the galaxy in the balance, the boys dig deep within themselves to truly understand what it means to be a hero! 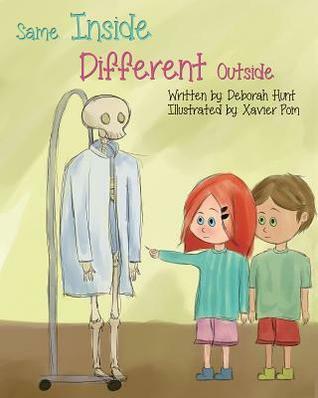 Same Inside, Different Outside is a wonderful children’s book that teaches biology and promotes diversity. Why do you think this is an important message to teach children? I’m a nursing professor and one of the courses I teach is on Culture and Cultural Concepts which has certainly changed my worldview. I thought I had a good understanding of the various cultures and their beliefs and practices, however, one of the big lessons I learned was that becoming culturally competent is a journey that can take a lifetime. This made me realize that we need to teach children at a very young age to celebrate their uniqueness yet understand how in many ways we are all very similar. 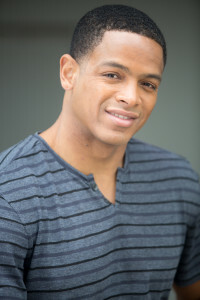 As a nurse, I also believe that children need to learn about the inside and outside of their bodies and although some of the concepts may be difficult for a younger child it is never too early to start introducing concepts that can be built upon as they complete their educational journeys. I loved the pictures in this book. What was the art direction like? Thanks, I loved the pictures, too. I worked very closely with my illustrator. Initially, I placed notations throughout the manuscript detailing my ideas for the illustrations and where they should be placed. Xavier, of course, used his creative and artistic abilities to bring the illustrations to life. It was fun to collaborate with him on this project and we really worked well together. Final edits were completed based on the input of the Waldorf Publishing team which certainly strengthened the book. What do you hope young readers take away from your story? First, and foremost I hope the readers enjoy the story and want to read it over and over again. Secondly, I hope they begin to understand that although we are unique and look different on the outside we are also very similar, especially on the inside. Lastly, I hope they begin to understand how some of the major parts of their bodies work. And that skeletons are really not scary and are somewhat like superheroes because they protect all of our insides. Will you be writing more kids books that tackle other social issues? Yes, although I’m currently working on the second pug book I’m also in the early developmental stages of inviting the readers back to Emma’s kindergarten class where I will address other social issues that help children to understand that although in some ways we are very similar it’s okay to be different. Today is a very exciting day for Emma’s kindergarten class. Emma, Robert, and the rest of the student’s don t understand how they can all look so different on the outside, but look very similar on the inside. So Dr. Shaw is coming to visit, and she’s bringing Mr. Bones, who is a real life-size skeleton. Mr. Bones is going to help Dr. Shaw teach her lesson about the human body. Dr. Shaw has also brought a cool body screening machine with her so the children can see what their insides look like. 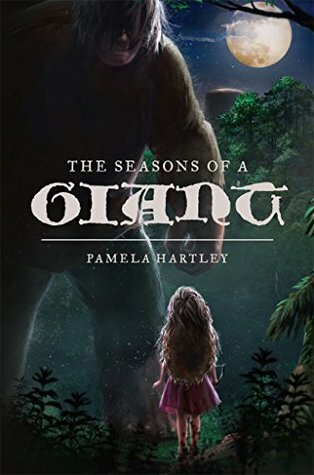 The Seasons of a Giant is a fun story following young Izzy as she tries to discover what is stealing her family’s cows. I find the setup of the novel entertaining. How did this idea start and develop as you wrote? I know it’s such a cliche, but I actually did dream of a feisty farm girl and her adventures in a land filled with giants. Izzy’s story continued to grow on my long walks. I would return every day and quickly jot down all of the new twists and turns and crazy characters that popped into my head along the way. I’d also carry a notebook and scribble ideas as they came to me. Boone and Izzy were and still are always in my thoughts. I think they’ll live there forever. The relationship between Izzy and the giant was thoughtful and well developed. What was your approach to writing the interactions between the characters? Boone and Izzy had a rocky start due to the misconceptions she’d been taught. Izzy was forced to see Boone through the eyes of her family and her Groundling people in the beginning. Once she began to form her own opinions, she realized how truly special he was. I loved giving Izzy a snarky edge, and Boone provided a sweet balance with his calm comebacks. They truly are the perfect pair! What experience in your life has had the biggest impact on your writing? I’ve always loved to write. I wasn’t sure why until I discovered the most wonderful story written by my father years after he’d passed. I must have inherited a writing trait, if there is one! I have stories that refuse to be ignored; they won’t let me rest until they’ve fought their way onto the page. Writing is a real challenge, but very rewarding. Escaping into exciting worlds is the ultimate joy for me, and if I can take my readers along for the ride, all the better! Will this novel be the start of a series or are you working on a different story? If I had lots of readers that would enjoy another book with Izzy and Boone, I’d be thrilled to continue their adventure. The last page of The Seasons of a Giant hints that I already have a few wild ideas swirling around in my head! Until then, I’m currently writing a YA horror series. Isabel “Izzy” LaDuke has never killed anything scarier than a spider, but suddenly her botched pursuit has thrust her into a fight with an honest-to-goodness cattle-stealing monster. Izzy is just trying to find out who is stealing her family’s cows. She has no magic powers or special skills, and she’s a rotten shot with a bow and arrow, but she’s braver than anyone, and that, in her opinion, makes her the best girl for the job. When Izzy finally finds her monster, she is transported from her family’s farm to the home of the Behemorphs, shape-shifting Giants who live in the SkyWorld above the clouds. To find her way home, she will have to team up with the very monster (he calls himself Boone) she has been hunting. As the two confront terrifying creatures and deadly enemies, Izzy will learn a lot about Boone–and she’ll discover her own incredible potential. Joe is your average college kid on spring break, just wanting to take a camping trip with his friend Homer. They are camping out in the continental divide, Homer’s first experience with camping and Joe being the good buddy that he is teasing him to no end. Late at night Joe is off near the lake watching the stars when unexpectedly an alien ship crashes into the water. Frank and Fred soon have their first encounter with an Earthling. After accidentally getting stuck on Frank and Fred’s ship and launching into space, Joe finds himself in the middle of a jewel heist, and some intergalactic espionage, as well as at the center of a planets battle for freedom from two other worlds disturbance. It was a busy week for Joe and his most eventful spring break ever. While the book starts out on Earth and then moves to the planet Ladascus, it is hard to remember sometimes you are not on Earth. Some of the characters are described, but aside from the different language they sometimes use, so much of the scenery and even the day to day activities are the same as any town on Earth. There is a very familiar and at home feeling to the setting and even the characters, that while the authors tell you they are not human, the definitely feel human in their personalities and mannerisms. The town most of the story takes place in is called Ngorongoro. It has a mix of low tech and high tech devices, including part of the population being androids that are made to emulate human minds and appearances. They can even have addiction problems, what are they addicted to? 9 Volt batteries from Earth of all things. The novel has quit a bit of humor such as this sprinkled through out, like the Ladascus Zoo, it has four humans on display. This creates an awkward moment for all parties involved. While the story doesn’t always feel like it’s from an alien world, I love that I can relate to experiences that are going on. The political maneuvering of the characters reminds me of the insanity revolving around our own politics right now. The authors write on a level that made me want to be there, to see it all unfolding and made me care about the characters, especially Joe. The story line of the diamond heist introduces us to Ralph (not their real name) and how the miss scheduled job interferes with an intergalactic spy ring’s operations. This side story is quite fascinating, reading about the double life, bringing me back to the old spy movies, it was engaging. There are highly sophisticated and complicated spy nets and agents. One famous agent is Evinrude for the Quesonte. He is entertaining and very good at what he does. He is one of my favorite characters in the novel because of how well he outsmarts the others and always seems to be in the right place at the right time. 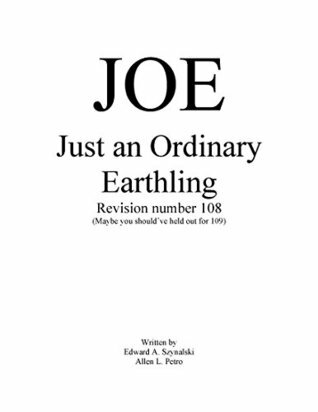 Edward A. Szynalski and Allen L. Petro give JOE Just and Ordinary Earthling a comical and unique twist to the alien abduction plot. The connection to the characters and relatability to them and their world with our own world is the reason for the five stars. The aliens are so human like in their behavior it is relatable to the reader. The subplot of Homer being lost in the woods and thinking he is going to die is comical and provides a reminder that Joe is off in space with aliens. Overall it is a good novel that will keep the reader engaged and entertained by the antics of all the characters as well as the different plot lines to follow. I would love to see a sequel to this novel and read more about the world of Ladascus. With 250 pages, one would think this would be your average children’s novel, but I was pleasantly surprised. A fun twist on Jack and the Beanstalk, Izzy is a fun take on the heroine trope, although I may have enjoyed it more if she was more self-actualizing then what occurred in the story itself. I think the courage that Izzy embodies is brilliant and an excellent message to children. I think the “journey of self-discovery” is a classic tale to come up again and again and is given fresh legs by Hartley’s narrative. The classic turn of “foe turned friend” is great because it allows Izzy to then reflect upon herself and evaluate her own strengths and weaknesses. The character, Boone, is great because he is everything she is not. She is small and weak with too few real skills. A Behemorph, he is larger than life and has his own magical abilities of shape-shifting. The juxtaposition is almost too pointed, but Hartley saves this with humor and keeping the story pace brisk and fast for even the most anxious reader. Hartley’s prose reads well and both her voice as the author and the voice of her characters come through. Izzy is a great heroine to follow and I hope there’s another story on the way with her being the lead character again. There is something very relatable with a character who is not talented and instead has to rely on what she has on the “inside”. Again I believe that sort of theme and message is perfect for children and adults. Overall, the pacing was spot on. The ending was unexpected, but well developed. I believe that Hartley has a gift for story, especially when telling children’s stories. The world she has built was fun and enjoyable and overall it will make a great read for anyone looking for an entertaining weekend read. The Genocide Gene is the third book in the thrilling Onryo Saga and continues the adventures of the teenage superheroes in their fight to save humanity. I felt this story was very well written. What is your experience as a writer? In addition to term papers in grad school, I wrote fanfiction about my favorite shows growing up. It was great practice to hone my craft and experiment with my original concepts. As fun as that was, nothing beats creating original characters and guiding them on a hero’s journey. One thing that stands out to me in The Genocide Gene is the creativity embedded in this world. What was your inspiration for creating such and imaginative world? As I was researching Africa, I had to come up with ways to integrate what I had learned into a creative storyline. I read about the business of portable gas stoves, so I had a battle in a factory. I read about the African boda-boda drivers, so I envisioned a chase scene on their mopeds. Every time I read something interesting, I wondered how I can utilize it in an exciting way. I also created my own African country so that I could integrate the culture, history and issues of other countries into it, such as civil wars and age-old divisions brought about by European colonization. That way, I could write about the political problems of places such as Uganda, the Congo, South Africa and others all at once. The Genocide Gene has an intriguing setup to a novel that is high in social commentary. What was your moral goal when writing this novel and do you feel you’ve achieved it? Bringing people together in harmony has always been my main goal, whether it be American liberals and conservatives or feuding African tribes. I wanted to present a war-torn nation keep impoverished and dysfunctional due to prejudice and hatred, but it was important to show people of other backgrounds getting along in spite of what their groups teach them. While the political extremists seek to tear their nation apart through fear, those who serve the cause of unity and understanding are the only ones who can bring peace to their people. While my conclusion can’t happen in real life, I can only keep the faith that the people of these lands find ways to bring about prosperity. When will the fourth book in the Onryo saga be available and where will it take readers? The Tree of Zaqqum will take readers to Israel/Palestine, and others Middle Eastern locations too. My heroes will have to stop a mysterious mastermind and his followers from destroying cities with stolen WMDs and quantum technology. Their friendship is further tested as Chikara gains a new ally that may become something more. I’m still in the research phase at that moment, but the story is coming together piece by piece. I’m guess it may take two years to complete. “It has been only a few months since Chikara Kaminari was given strange powers and a mission from her precognitive mother. 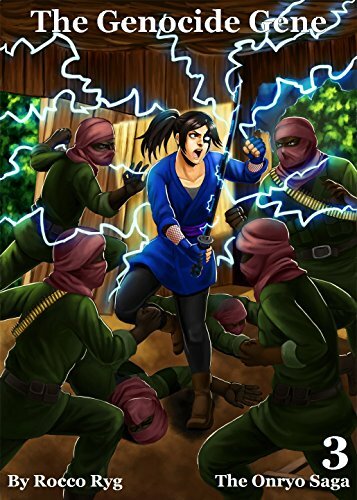 Joined by her friends Renka and Gen, she traveled the world and stopped a band of super-powered extremists from imposing their will upon humanity. Now, a new menace has surfaced to threaten the lives of millions. The Genocide Gene is the third book in the thrilling Onryo Saga and continues the adventures of the teenage superheroes in their fight to save humanity. Chikara, Renka and Gen are the superhero trio with mystical powers that they inherited from a ring with a mysterious black rock. The trio is on a crime fighting spree when Chikara receives a message from her late mother that takes the superheroes on an adventure to Sierra Leone. Meanwhile, a team of brothers are planning to eradicate tribes in a deadly attack and soon enough the teenagers are caught up in a whirlwind of African supremacists, terrorists and evil politicians. Friendships and alliances will be put to the test as they battle their way through a storm of evil extremists. Will their friendships survive this heroic escapade or will it finally be the end of the Japanese crime fighters? The Genocide Gene, written by Rocco Ryg, is the third edition of the Onryo Saga and as always he delivers an exceptional story line packed with action and charm. The story begins back in 1985, with a cover-up involving a mysterious black stone which gives people ungodly powers. This powerful stone forges the path to a catastrophe that will echo its effects in years to come. It then flashes forward to the year 2012 where everyone’s favourite Japanese super heroes have banded together with their mystical powers to clean up the streets of drug crimes, child trafficking and murdering of innocent souls. Like a voice beyond the grave, Chikara is contacted with a message left by her late mother where she requests that Chikara, Renka and Gen venture to the deep throes of Africa. Friendships will be tested and lines crossed as you delve deeper into the twisted underground world of Sierra Leone, forcing the reader to confront terrorists, gangsters and teenagers with magical abilities. You will reminisce with old friends and be left with a bitter taste as they dance with old enemies and form unlikely alliances in a bid to do what they do best- saving lives. Prepare to be on the edge of your seat as you follow extremists on the hunt for those who can heal, and feel the terror as enemies are enveloped with an evil presence. My favourite part of Rocco Ryg’s novels is that he is able to intricately weave multiple story lines together in such a way that the reader will be engrossed from start to finish. I love seeing how the characters grow and how they challenge themselves in situations using their individual powers. The Genocide Gene also explores a rich diversity of cultural differences and gives you a taste of gangster life across different nations. Staying true to the themes of action crossed with a dash of politics and mystical powers, The Genocide Gene will be sure to satisfy your need for a superhero tale. I would recommend this for all who are in need of an adventure. Will they be successful in Chikaras mission from the grave or have the superheroes finally met their match? 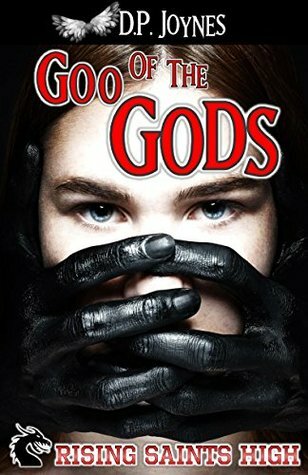 Goo of the Gods centers around the life of teen prodigy Jonah and his traumatic past involving suspicious accidents and missing people. This is a genre-crossing novel with elements of a science fiction, horror, and fantasy as well. Did you start writing with this in mind, or did this happen organically as you were writing? A little of both. I’m a nurse whose also worked in the manufacturing and customer service industries while I was in college, so science, horror, and fantasy will continue to blend in my writing. Missing people, accidents, these are things that I’ve witnessed, so I knew what elements I had to have in the book. I began with a timeline, but, like life, the timeline continually grew as my characters took on lives of their own. Although, I should mention that not everything came from my own personal experiences. Changes to the timeline and character encounters were drastic when I chose to use my teenagers living at home as a resource. Jonahs friends in science club form a group called Sci-6. I felt the supporting characters were well developed and intriguing. Who was your favorite character to write for? I love all of my characters, including the creepy evil ones. I chose a male protagonist over a female one because I love writing about villainous women. Turning them into demons and putting them up against a wiz kid was a bonus, but, ultimately, that wiz kid has my heart. Jonah has a horrible past because, in truth, he has horrible parents whom he just can’t avoid even when they are missing from his life. His identity is important to him, but he’s still trying to figure out who he is. As he’s growing up, he has to learn to find confidence in the presence of self doubt and what’s expected of him. Most teens, I believe would relate to the struggle of figuring out what you want versus what others want of you. Sci-6 embark on a mission to conduct risky experiments in order to uncover the truth and defeat demons. This sets up the novel to deliver some very entertaining scenes. What was the funnest thing about writing this novel? I think you said it! Some of the scenes are definitely “risky.” There is some genuine physical and medical science I used to formulate speculative fiction. The most fun was throwing the teenagers into these crazy experiments and seeing how they’d manage to get through it. I love the bickering and arguing when you have no clue what to do-that’s the most fun. This book is part of the Rising Saints High series. When will the next book be available and where will that take the characters? Blade of the Crones is the second installment of the RSH series and will be available at the end of 2017. Raz, Jonah’s ex-girlfriend mentioned briefly in Book 1, will make an appearance causing more teen drama. But Sci-6 has a job to do. One of their own needs rescuing, so they’re going to have to put their heads together and formulate a rescue plan. I also have a companion novella coming out next month in March, entitled Hella. Same school with a separate cast of characters in a plot involving time travel and a few friendly visitors from Book 1. Teen science prodigy, Jonah, doesn’t know if he’s seeing ghosts or if he’s inherited a mental illness. Either way, he wants the voice out. He wants to free the speaker from his mind and put her into flesh of her own. But he’s going to need more than his father’s old laboratory to do it. He’s going to need the help of his ingenious new friends. CRASH! BOOM! KAPOW! There’s a new breed of superheroes at Rising Saints High and they’re not your typical teenagers. They’re nerds, but dark creatures are lurking among them—waiting to exploit the innovative young team for their collective intelligence.